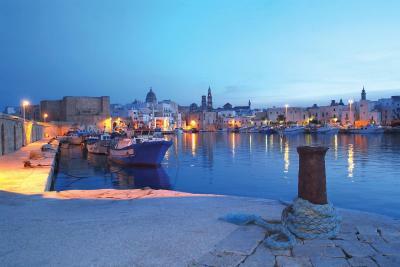 Lock in a great price for Hotel Don Ferrante – rated 9.2 by recent guests! It’s a gem. Very comfortable, small but luxurious. Nice roof terrace. What a fabulous place to stay - ftom a friendly welcome to comfy convenient room - San Vito has a door onto street easy for heavy luggage ! Best position in old part of Monopoly! Grazie ! Delicious breakfast. Many rooms have a beautiful view of the sea. Such a treat to stay here. We were given a suit instead our double room. It was fantastic. Views from the balcony are perfect. One of best hotels I have visited. Went there just before eloping in Ravello... it was gorgeous! Beautiful, clean, interesting rooms & such a lovely relaxed vibe. 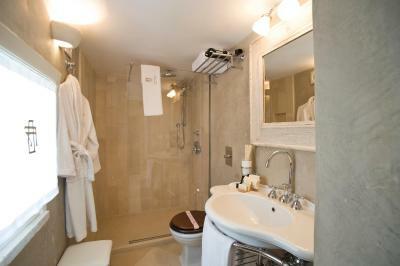 The room is very confortable, clean and pleasant (luxurious without being ). Staff is beloved and worry about you (Katia is incredible). Location also the best one (right inside the old town and in front of the ocean). 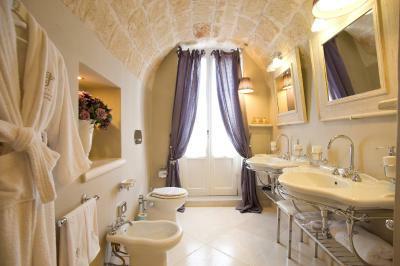 Wonderful room, beautiful setting, charming old town. Truly a unique experience. My wife and I loved it! Breakfast overlooking the sea was spectacular. Sea view was fantastic. The reception staff were lovely. The hotel was very clean and well located. The white coated waiter at breakfast gave exceptional service. 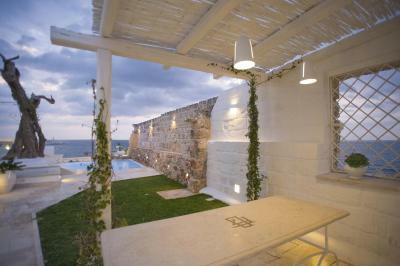 Hotel Don Ferrante This rating is a reflection of how the property compares to the industry standard when it comes to price, facilities and services available. It's based on a self-evaluation by the property. Use this rating to help choose your stay! 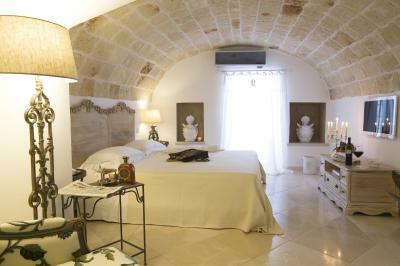 Once an ancient fortress, Don Ferrante now offers luxury accommodations in a panoramic location on the cliffs of Monopoli. It features a small pool with hydromassage jets. 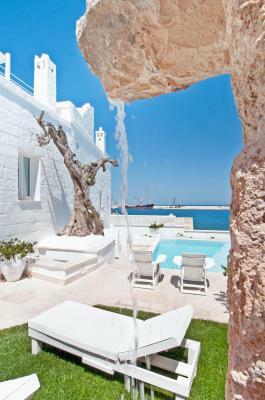 Don Ferrante - Dimore di Charme is in Monopoli's historical center and offers a sunbathing area with views of the Mediterranean Sea. 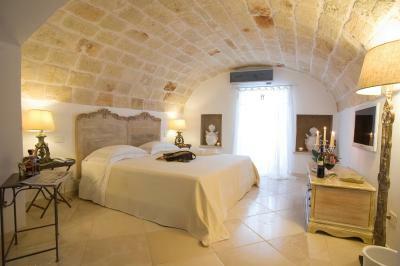 Rooms at Don Ferrante have a unique design with stone walls and elegant furnishings. All air-conditioned, they also come with free WiFi, a flat-screen TV and a laptop safe. 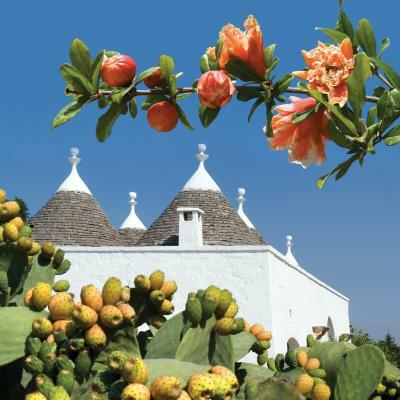 Breakfast is buffet style and, during summer, the hotel also has a bar and an outdoor restaurant serving specialties from the Puglia region. 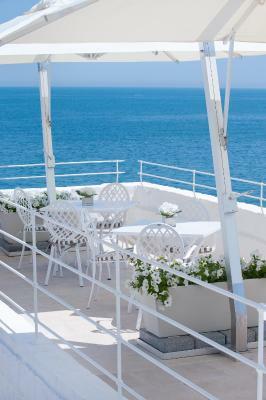 There are plenty of terraces where you can admire the sea view. The hotel is well connected by the SS16 national road along the coast. 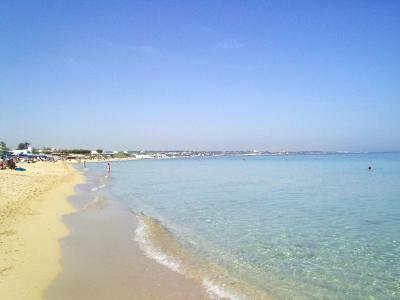 It is 20 minutes' drive from San Domenico Golf Club. Fasano Zoo is 11 mi away, while the caves of Castellana Grotte are 20 minutes away by car. 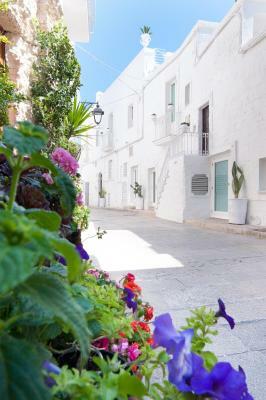 This is our guests' favorite part of Monopoli, according to independent reviews. 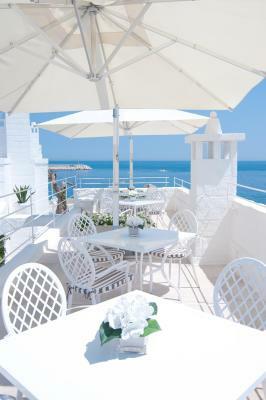 When would you like to stay at Hotel Don Ferrante? Featuring sea views from the window, this single room includes a 32" flat-screen TV, a mini-bar, and a safe. 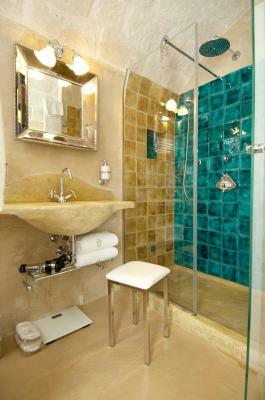 The bathroom comes with a shower. 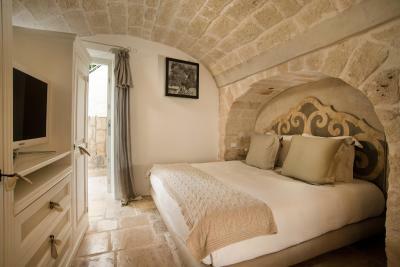 Air-conditioned room overlooking the historical center. It includes a flat-screen TV and free WiFi. 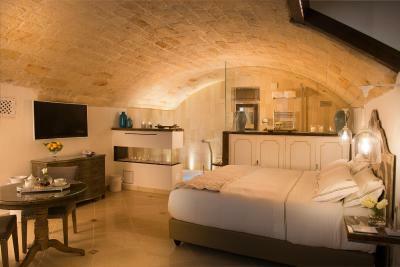 The spacious King Suite features a living area with a sofa bed and balcony overlooking the sea. Air-conditioned room overlooking the sea. It includes a flat-screen TV and free WiFi. 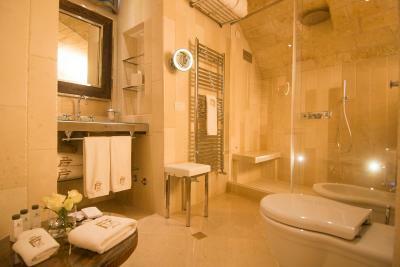 This suite has a private entrance, Turkish bath and flat-screen TV. This suite is located 492 feet from the main building. This suite features a cozy fireplace, views of the sea, and a private patio. 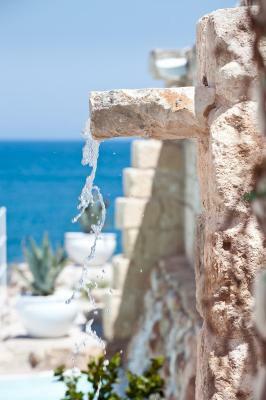 It includes satellite TV, a Turkish bath and an open-plan bathroom. 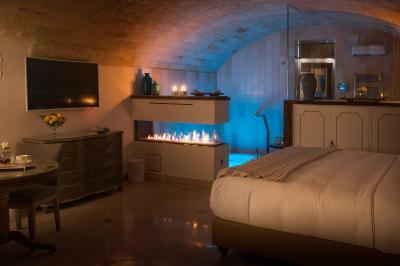 Set in the basement with vaulted ceilings and stone walls, this double room has a fireplace and an open-plan bathroom with a hydromassage shower and bath. This room is located 492 feet from the main building. House Rules Hotel Don Ferrante takes special requests – add in the next step! Hotel Don Ferrante accepts these cards and reserves the right to temporarily hold an amount prior to arrival. 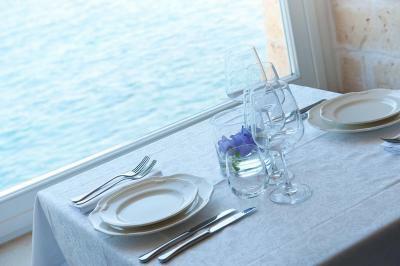 Please note that the outdoor restaurant is open from 1 June until 31 August. Please note that the half board rate includes a 3 course meal and excludes beverages. Please inform Hotel Don Ferrante of your expected arrival time in advance. You can use the Special Requests box when booking, or contact the property directly using the contact details in your confirmation. Absolutely terrific place - first rate! 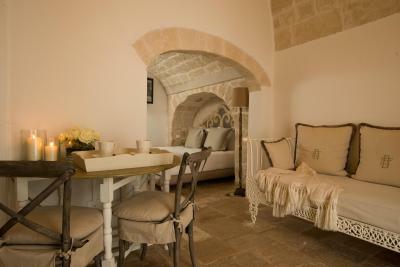 If you're looking for somewhere romantic in beautiful Monopoli, this is the place to go. I can't wait to go back. No parking, need to walk about 500 yrds from parking to hotel. There are NO common areas, like a lobby or any area people could wait or meet. There is no elevator and all stairs are steep. People and rooms are excellent. Reception, rooms and breakfast place are separated although they are all very close to it. Sometimes it’s confusing but not big deal. First of all, hotel location is great! Just next to the beach and town is so quiet and cute. We stayed at one of the smallest room for two but it’s very clean and comfy. Staff at hotel are also very calm and nice, their recommendations for restaurants are all great and even searched bus/train schedule for us. And there’s free van or tuktuk too! I’m so grateful for their service! Maybe the low doorways tests the memory. A bit hazardous for a six ft plus person and also the step down into the bathroom? Furthermore, impossible to fault anything. Wonderful staff, great breakfast, superb location. Simply outstanding! Shuttle bus service highly appreciated and valued. Nothing it was perfect. The location is ideal for exploring. Although the pool is small it suits the hotel and there is a beach around the corner for those who want to swim. 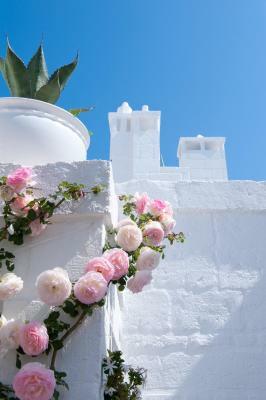 Everything is beautifully designed and picturesque. The staff where very helpful and polite. 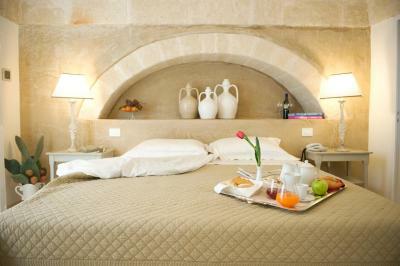 The rooms are large, well designed and comfortable. We stayed in suite Carlo V for a night and it was superb.